Pick-A-Pit II Adoption Fair in Atlanta! 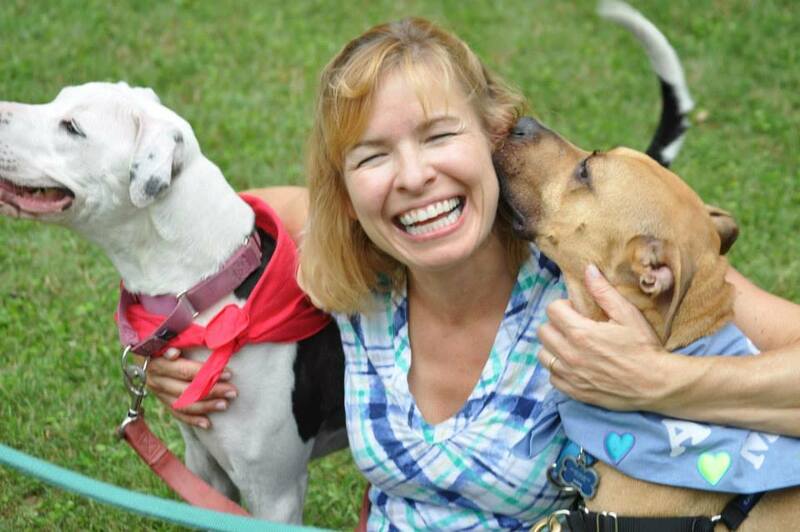 On May 31, Atlanta Pit Bull Parents and Atlanta Underdog Initiative will host the Pick-A-Pit II pit bull adoption fair, sponsored by Pit Bull Rescue Central and Second Life Atlanta. 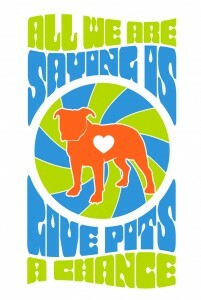 In the green space next to the Fourth Ward Skatepark, 12 organizations will present their adoptable pit bull type dogs. 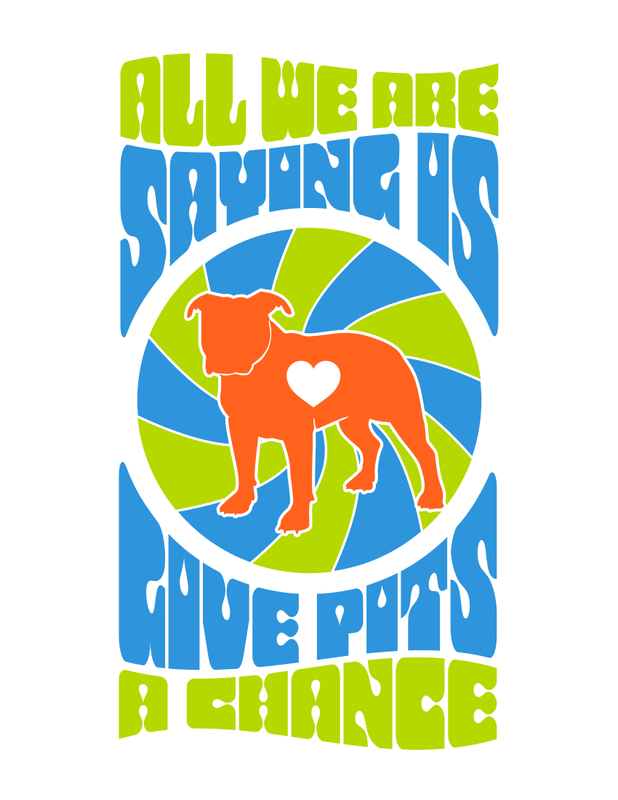 This year’s theme is “All We Are Saying Is Give Pits A Chance.” The event theme specifically highlights the friendly, fun-loving nature of the dogs and their owners. Madelyne Pieroni, a volunteer for Fulton County Animal Services with Candy. Candy was adopted that weekend. The adoption fair will take place along Atlanta’s Beltline, a popular path for walkers, runners, cyclists and dogs! The surrounding area – Old Fourth Ward, Inman Park, Cabbagetown, and Little 5 Points – are pit bull friendly neighborhoods, and you can see many pits and pit mixes trotting along the Beltline with their people any day of the week. 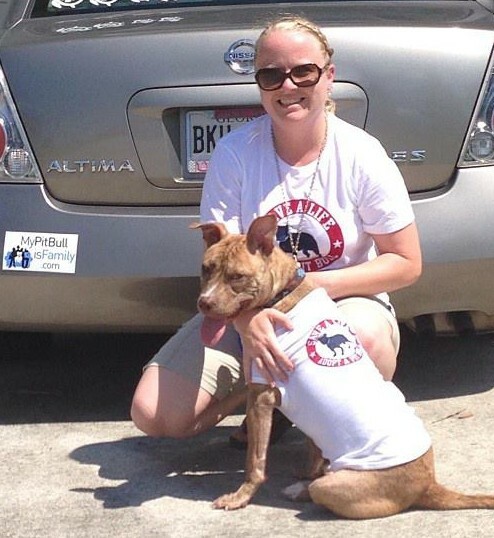 The first Pick-A-Pit adoption fair took place at Atlanta’s Chastain Park in June 2013 with 10 participating groups. Five dogs were adopted from that event, including several from animal control shelters. For Atlanta-area rescues, it can take many months to over a year to find a good home for an adult pit bull, so this was considered a success. This year Pick-A-Pit is introducing the “Lone Stars,” four dog-reactive, people-loving dogs that will be able to attend the event. These dogs usually do not get to attend adoption events and have trouble meeting eligible adopters. All of these dogs have been looking for their forever home for nearly a year or more. They will each have their own tent and two handlers for the day. Pit bull-specific adoption fairs like Pick-A-Pit are important for not only finding great adopters, but in changing hearts and minds about pit bulls. 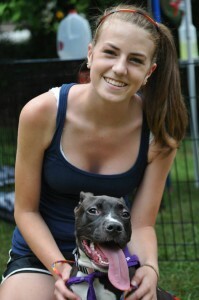 Visitors can meet adoptable dogs and enthusiastic pit bull parents and learn about the dogs and responsible ownership. Organizations in other cities can host their own multi-organization adoption fairs like Pick-A-Pit. The cost of hosting such an event is minimal. 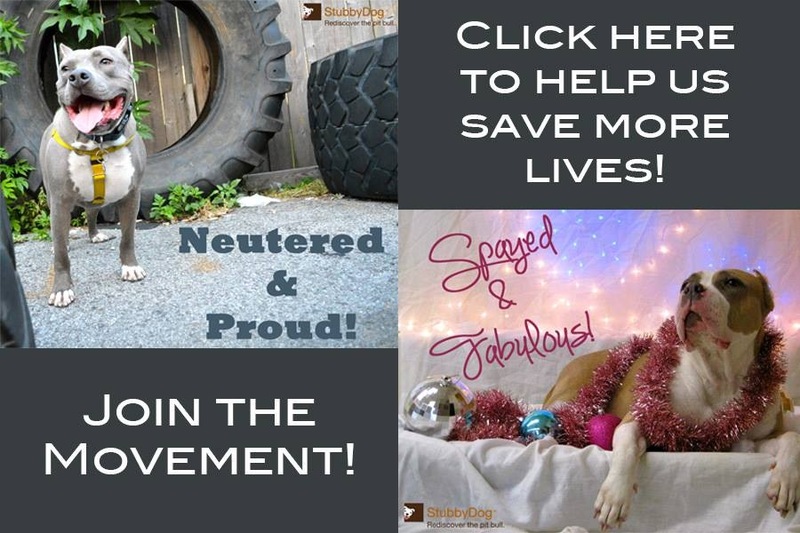 Select a location in an area that is pit bull-friendly and progressive. Consider a public park or area with a lot of organic traffic so you will attract passersby. Solicit sponsors to help cover event costs and offer them booths at the event and advertising on event t-shirts and websites. Ask each participating organization to help with promoting the event both online and with flyers and posters, as permitted. Limit the number of dogs each rescue can bring to a number that is safely manageable in a 10×10 tent. The tent is important to provide shade for the dogs. Four adult dogs in a 100 square foot tent is a good number. Require crates for each dog so that they have a safe, quite place to rest or if volunteers need a break. Organizations should follow their regular policies about applications and home visits. Keep music and other noise to a minimum. The dogs don’t need music and this is all about the dogs! Send out press releases to local media a week in advance. Danielle and Ginger met at Pick a Pit I. They are wearing matching tees from the event.